Muncie, IN—Whether a couple is going through a dissolution with children or a paternity matter due to never marrying, two common issues that arise are regarding parenting time and child support. It is important to note that while these two topics are often discussed together they are separate issues. For example, if a parent ordered to pay child support is behind on child support the y remain entitled to parenting time. The other parent cannot deny parenting time. It is always best for the parties to try to come to an agreement outside of the courtroom to determine custody and parenting time of the children. If the parties are unable to come to an agreement, the matter will be resolved by the court. Each side will present to the presiding judge the reason they believe their plan for custody and parenting time is what is in the children’s best interest. What is in the children’s best interest is the standard that the courts use in custody and parenting time proceedings. The judge will look at all evidence presented to determine whether the visitation should be where the children are primarily with one parent or if the time should be spent equally between both parents. The State of Indiana does provide guidance for everyone with regards to parenting time in the Indiana Parenting Time Guidelines. The guidelines state that it is best for every family to take into consideration the specific circumstances each family is facing when developing a plan for parenting time. However, if the parties refuse to come to an agreement the guidelines are the minimum time a parent should have with his or her children. In determining the amount of child support one parent would have to pay to another parent, there are many factors considered. Factors include each party’s weekly gross income is, whether there are subsequent born or legally adopted children, any court orders of prior born support, legal duty to support prior-born children and alimony or maintenance from a prior marriage. Some additional factors included are whether either party is paying work related child care expenses, as well as if either party is paying the cost of health insurance for the children. Lastly, the court looks at how many over nights each parent receives a year. If the parties agree on the amount that the child support worksheet reflects, it will be provided to the judge and memorialized in the final order. If the parties disagree on the amount one party should pay the other, each party will submit to the judge what they believe should be the child support worksheet and the judge will ultimately determine whether either of those amounts or a different amount should be followed. The child support worksheet will also state what each party will be responsible for with regards to uninsured medical expenses. Determining the appropriate parenting time and child support for any given family can be very complicated. An experienced attorney with the knowledge to help determine the important facts can save everyone time and money through the process. The attorneys at Beasley & Gilkison, LLP are able to help prospective clients in navigating this complicated and important aspect of a dissolution or paternity case. 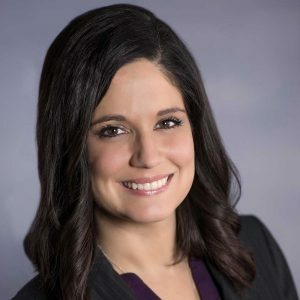 Stephanie L. Hoover is a graduate of Wes-Del High School, Saint Mary’s College, and Valparaiso University School of Law. She is one of four family law attorneys at Beasley & Gilkison LLP.